The seas of Shetland are critical to the economy of the island and are exploited both for fossil fuel production and processing and for aquaculture and fisheries. Great effort is made to ensure these very different economies can work in tandem and part of this work is to ensure the ecological health of Shetland waters. While every effort is made to avoid problems it is still important to be prepared should an incident happen. 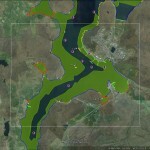 For this reason, the SOTEAG (The Shetland Oil Terminal Environmental Advisory Group) has commissioned an annual up-date of the oil spill sensitivity maps for Sullom Voe and Yell Sound. The maps were first produced in 2013 by Marine Atlas Consultants Ltd and are available for download on the SOTEAG website. The maps form part of the Sullom Voe Harbour Oil Spill Plan and are vital for the planning and implantation of an effective and efficient oiled wildlife response in Shetland. The maps are funded by The Sullom Voe Association (SVA) Ltd, whose partners comprise the Shetland Islands Council, TAQA Britani (Brent Pipeline) and BP (Ninian North Sea Pipelines). The aim of the maps it to provide an effective visualisation of a wide array of data available describing coastal habitats. The maps are accessible for anyone wishing to use them for oil spill response or related activities. To produce and up-date the maps Dr Lorraine Gray of Marine Atlas Consultants Ltd consulted key local stakeholders, including; the SOTEAG Seabird Monitor, Shetland Amenity Trust, Shetland Biological Records Centre, Shetland Islands Council, Shetland Aquaculture, Shetland Fisherman’s Association, NAFC Marine Centre, Scottish Environment Protection Agency, Maritime and Coastguard Agency, BP and TOTAL. The maps have been well received by those working in oil spill response and will form a core element of a desktop based oiled wildlife training exercise for the WRCC (Wildlife Response Co-ordinating Committee) in November 2015. It became apparent that the excellent coverage provided by the Sullom and Yell Sound maps should be extended to include the whole of Shetland. In 2015 SVA Ltd released further funding to Marine Atlas Consultants Ltd to produce oil spill sensitivity maps for the entire coastline of Shetland. These maps will be available for download in the spring of 2016. 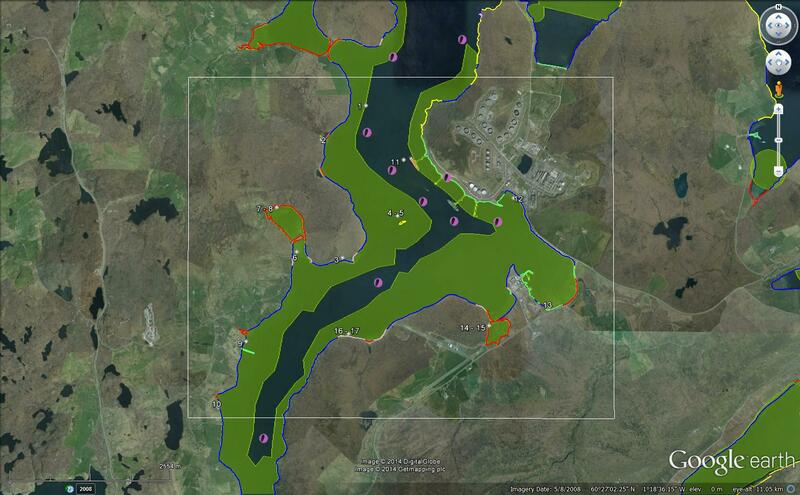 The Sullom Voe and Yell Sound area was divided into 9 sub areas (basemaps), each with its own data summary. Data was collated from multiple sources and prioritised into five themes: (1) basemaps, (2), coastal protection and clean-up priorities, (3) biological resources, (4) human use and activities, and (5) logistical and operational resources. These data were uploaded in layers onto Google Earth, a platform that was chosen in order to maximise the maps’ usability by on-the-ground personnel during a spill incident. Additional GIS files have been made available for specialist users and PDF files for paper use as a contingency. Anyone wishing to access the maps for oil spill response or related activities must first complete an End User Agreement. Users will be provided with a password to access the maps which will be re-issued annually once the maps are up-dated. This entry was posted in News and tagged oil spill response, SOTEAG, SVA Ltd on August 13, 2015 by mkr3.